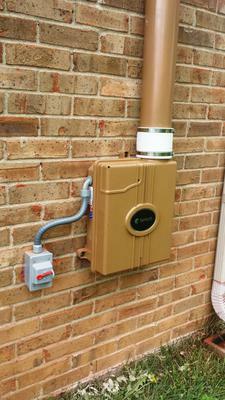 After periodic testing showed our radon levels to be averaging 14 or so, we knew we needed a remediation plan. I had several local firms provide estimates, and either gave us a quote on the phone "because they are all the same" or came to the house and did nothing more than walk into the basement and leave without providing a written quote. Estimates ranged from $900-$1200, PLUS another $300 for the electric work. I came across Val's site while doing some research and he was a great resource in helping to design our remediation system. Our home was built in 1994, and we were fortunate to have a sump pit with french drain running around the interior perimeter of the basement. 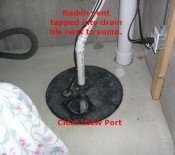 I found a one-piece sump pit cover at Lowe's that was designed to accommodate a radon system. 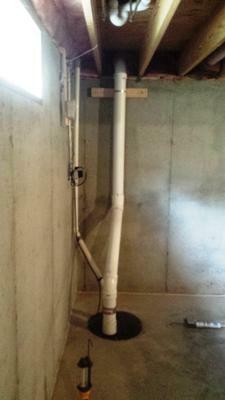 I ran 4" PVC from the sump pit, through the sill, and up the outside of the house. With the exception of the PVC pipe, I got the fan, fittings, and other supplies right here on Val's site. 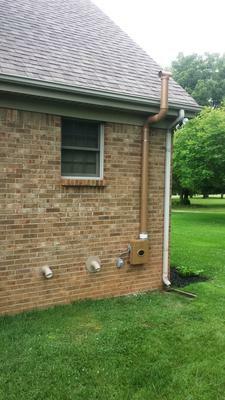 We had a floor drain for the a/c condensate that drained into the sump pit with no trap, and Val was also helpful in recommending a Dranjer trapped drain to stop the radon fan from pulling conditioned air out of the basement. 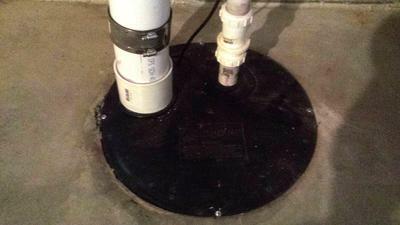 The electric installation was easy by simply extending the circuit that was already there for the sump pump. Total cost of the project was a little over $400, and I was able to paint the PVC prior to installation so it looks good too! 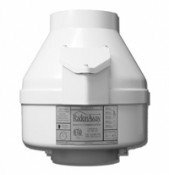 Testing a week after the system was running shows that radon is now down to 1.3!